Size large. Chest size 50in - 128cm. 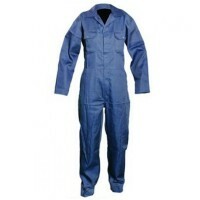 White disposable overall with zip-up front. .. Size large. 2 piece PVC Rain suit. A zipped and studded jacket with drawstring ho.. Size extra large. Chest size 54in - 136cm. White disposable overall with zip-up f..
Navy blue. elasticated waist. 4 pockets. Press stud front fastenings. 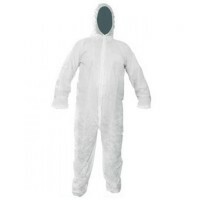 ..
Scan Chemical Slpash Resistant Disposable Coverall White Features The Scan Chemical Splas.. Size extra extra large. Chest size 58in - 146cm. 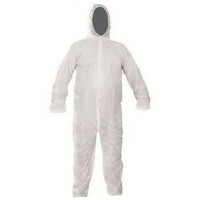 White disposable overall with zi.. Size extra extra large. 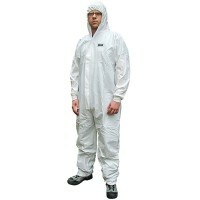 2 piece PVC Rain suit. 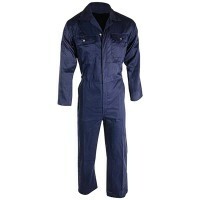 A zipped and studded jacket with d..
Scan Disposable Overall Navy Features Scan Disposable Overall with knitted cuffs, elastic.. Size medium. 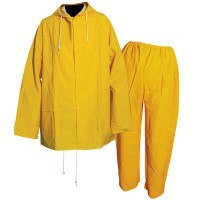 2 piece PVC Rain suit. A zipped and studded jacket with drawstring h..
Navy blue. Sixe medium. elasticated waist. 4 pockets. 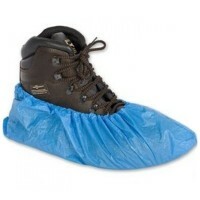 Press stud fron..
Multi-purpose shoe covers. Quantity 100 pack - 50 pair. The elasticated ankle str.. Size extra large. 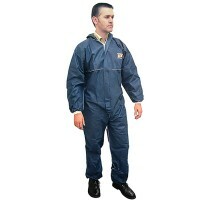 2 piece PVC Rain suit. A zipped and studded jacket with drawstr..